I am not an early bird; however I signed in for the biking event with BTC despite it being a very early morning affair. Going on long bike rides to explore places has always caught my attention and thanks to BTC, my dream finally came true! 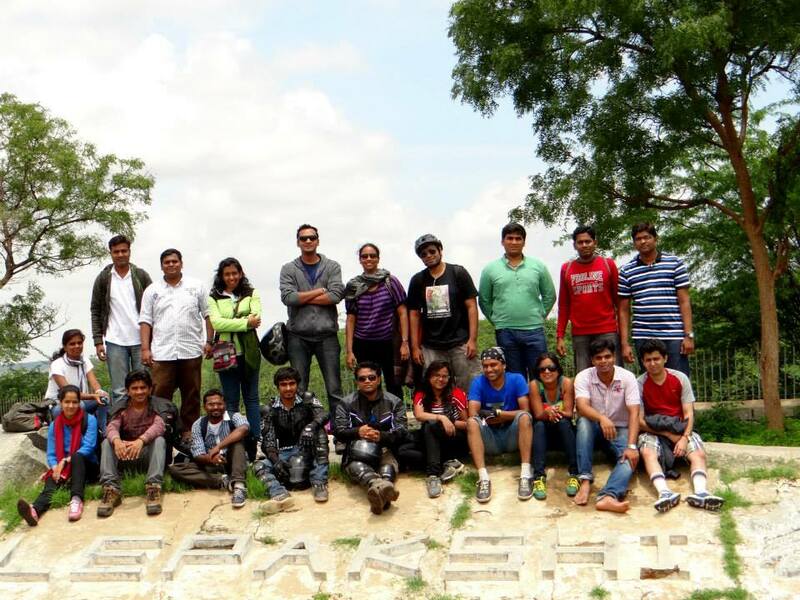 This was actually my second event with BTC, the first being only 24 hours before- the trek to Nijagal Betta on the 14th of September 2013. Channa, my rider, came to pick me up at 5:15 am on 15th September 2013. 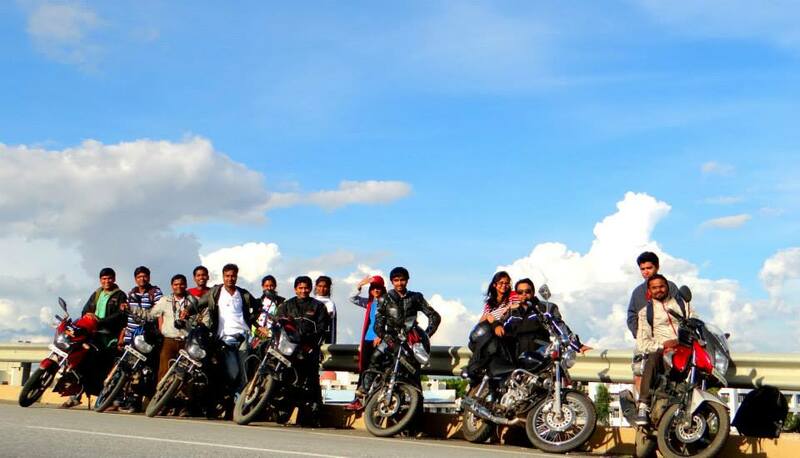 We arrived at the meeting point at the Esteem Convention Centre to meet and greet the other biking enthusiasts. 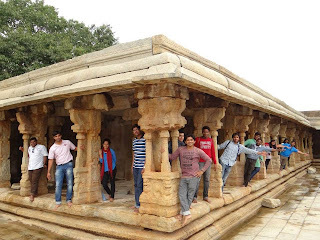 We left for LePakshi at 6.25 am. The weather was a bit chilly, however the moment we crossed the Bengaluru International airport, there seemed some magic in the air, which really made me feel surreal! There were beautiful hills on the left side of the road and Channa, the well-informed and well-travelled explorer, acted as my courteous guide to run me through all their names and their brief histories. We stopped at a local tea store for a quick snack and then took to the road again, to reach Shanti Sagar, where we were given a complete section of the restaurant to enjoy the yummy breakfast, tatte idlies to mouth watering vadas (I gobbled three of them in no time‼- that is so unlike me), to dosas and puries…….what took me by surprise was that the hotel offered boost and bournvita‼ For a unique case like me J who doesn’t drink tea or coffee, I was pleasantly surprised to be offered Boost! 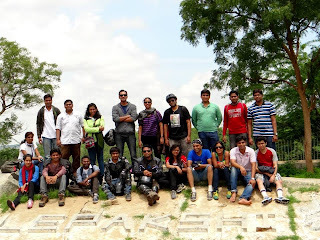 After a sumptuous breakfast, we hit the road again to reach LePakshi! The ride was pleasant, only that it was kind of chilly. 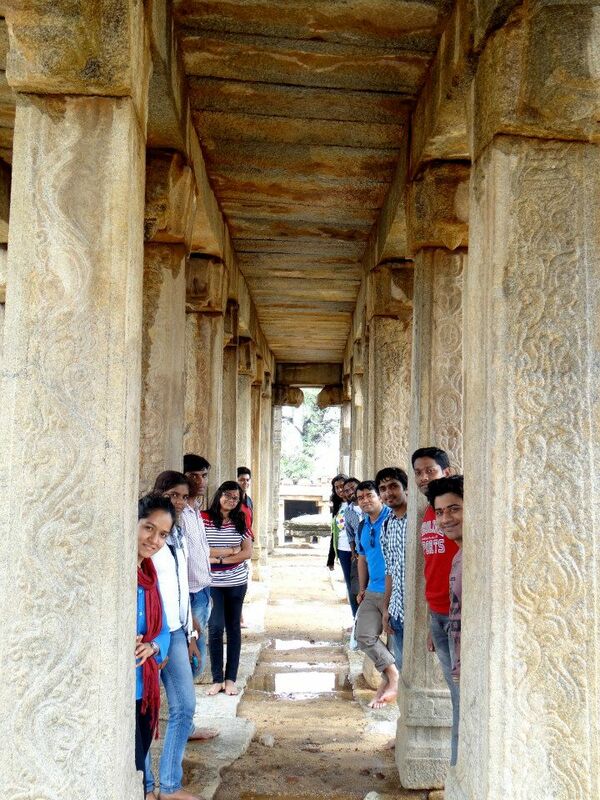 Once at LePakshi, the weather turned tables and it was rather hot. LePakshi temple was amazing with intricate architecture and beautiful paintings on the ceilings (some of them even had their colors intact‼). The architecture of the pillars was especially awesome, with carvings of elephants and divine figures and dancing poses. The temple priest was another surprise package- he knew many languages- he gave running commentary about the temple in Telgu followed by Kannada followed by Hindi and needless to mention, English as well‼ He told us the story of Veerabhadra and LePakshi Durga Devi. Later we explored the rest of the temple and also saw the “Sita Foot”. 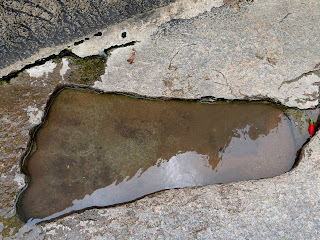 We clicked some interesting photographs at some interesting palces within the temple and also explored the nearby areas. Eating freshly picked tamarinds was nice; what was even better was the Nandi bull. This huge monolith was an awesome piece of architectural wonder and totally swept me off my feet! All this just reminded me of the wonderful sculptors and the architects that made all this possible. It was truly a treat to my eyes! After this, we headed to a place where the migratory birds would assemble, however unfortunately for us, there were none there- I am guessing it is probably because of the scorching heat. We headed back for lunch to the same restaurant where we had breakfast. After feasting on North and South Indian meals, it was sadly time to head back home. What did I gain in all this? Many beautiful memories, many new friends, apart from an immense satisfaction of having spent my time well! 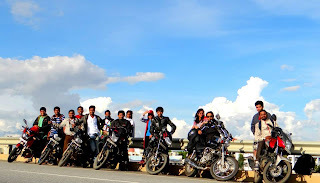 Thanks to BTC for this, special mention of Meghraj for organizing this wonderful event, Channa, my rider for being equally cautious and courteous and to Virander for leading us all the time! Many thanks to the rest of the gang who accompanied me…I am hoping to bump into you all pretty soon during forthcoming BTC events! Cheers and happy trekking!